The seafront walk through Hove may have been dominated by a wide expanse of tedious tarmac, but at the western end of the town things became a little more exciting. 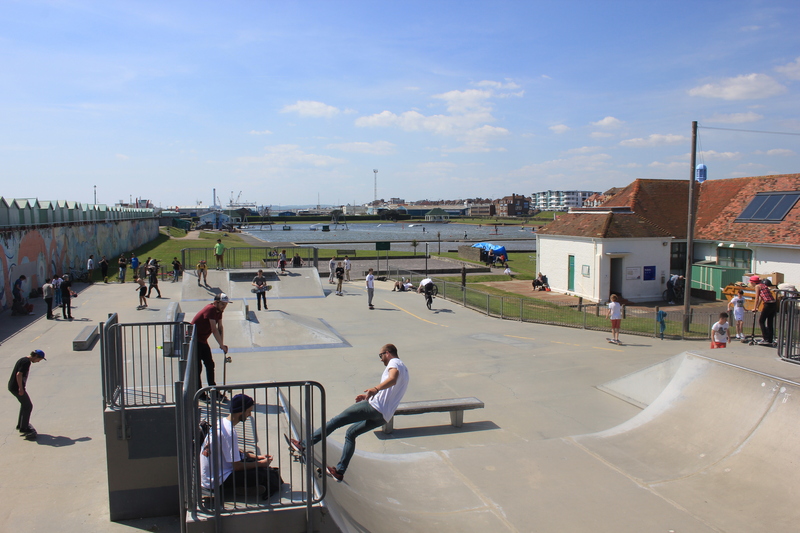 Just outside Hove Lagoon was a skateboard park. We bought an ice cream from a nearby van and watched the skateboarders. 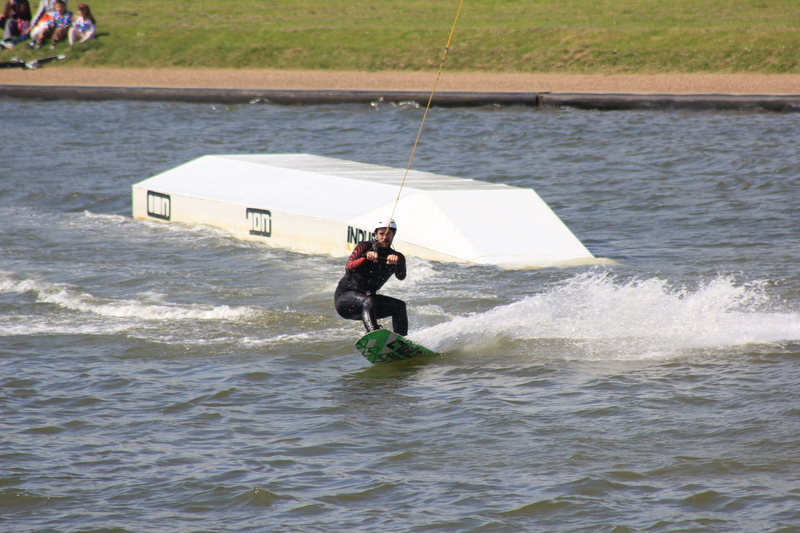 Hove Lagoon itself is home to a watersports park. Besuited (well, bewetsuited) surfers queued up to take their turn at grabbing one of two ropes which were attached to an elevated track that circled the lagoon. These ropes would then pull these people around, usually until they fell over before completing a full circuit. There were jumps around the course. I waited, camera poised, to get a shot of someone mid-jump. Unfortunately, most of the surfers were too busy falling off their boards before they even got to the jumps. Those that did make it opted not to venture from water to air and veered around them. We left them to it, for there was more excitement to come for us – a nudist beach! As is often the case with nudist beaches, at first we didn’t even realise it was there. My suspicions were aroused when we were walking on a path that ran alongside the beach. Between us and the beach was a low broken fence. At one point, through a gap in the fence, I saw a pair of feet. As I walked towards them, the gap in the fence slowly revealed a bit more of the person whose feet these were. A pair of calves…knees…thighs…. “Wow,” I thought, “he must be wearing really short swimming trunks”. It was my wife who dared to look back and confirmed that he was not wearing any swimming trunks at all. With a look of indignant disgust on her face, she zipped up her jacket right to her chin and insisted we got away from the fence and walked on the pavement instead. A high concrete wall soon separated us from the beach, allowing her to calm down and unzip her jacket a few inches. It is worth mentioning that my aunt had kept her jacket half unzipped throughout, and looked rather disappointed about which side of the wall she found herself on. In fact, our walk on the other side of the wall was quite an interesting one. 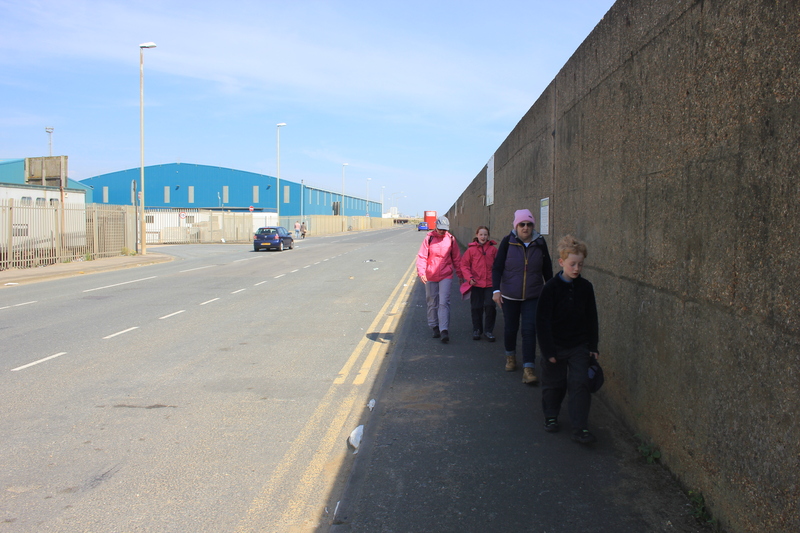 The road ran alongside Shoreham Port and power station. There is a certain beauty in many industrial structures, I have always thought. Giant silos towered above adjoining buildings; neatly arranged stacks of timber stood at perfect right angles to each other. 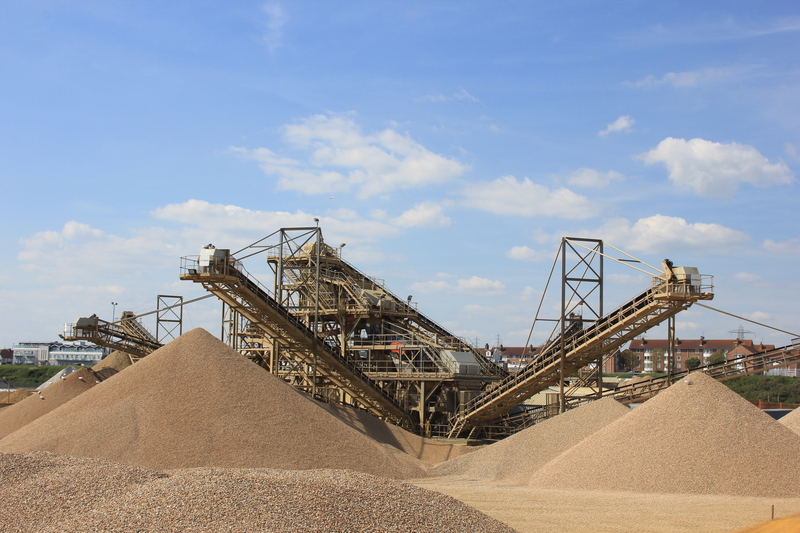 Most impressive of all, however, was a huge aggregate yard. A large skeletal hub stood in the middle of the site with conveyor belts projecting outwards like legs from a spider. 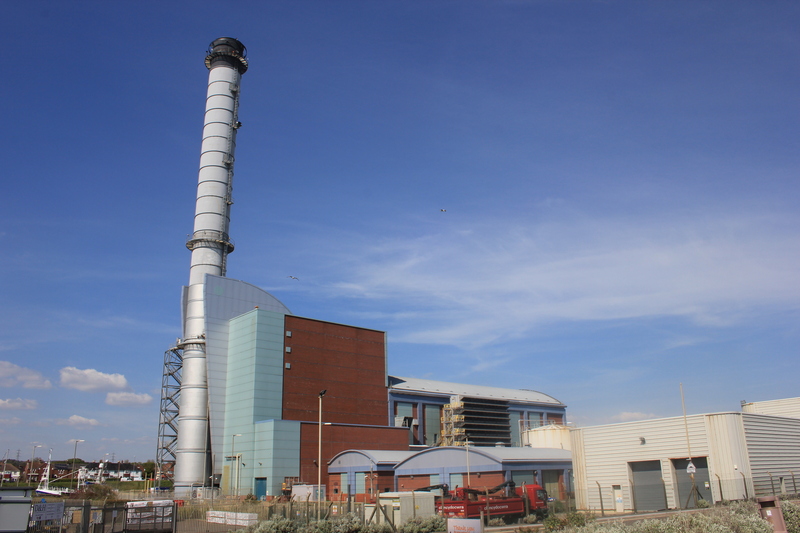 But most prominent of all was Shoreham Power Station, the chimney of which we had seen from miles away. Built in 2002 and standing 348 feet high, it is the tallest building in East Sussex, although Brighton’s planned i360 tower will steal that accolade once it is built. This entry was posted in East Sussex, West Sussex and tagged coast, East Sussex, Hove, industrial, nudist beach, power station, shoreham, southwick, travel, walking, watersports, west sussex. Bookmark the permalink. There seems to be an awful lot of nudist beaches over there Lol!